I hope you enjoy reading about their incredible journey! I know I did! They are an amazing, kind and loving family, who support each other, and it is just wonderful to get to know them better. 1. What was the first spark that started it all? 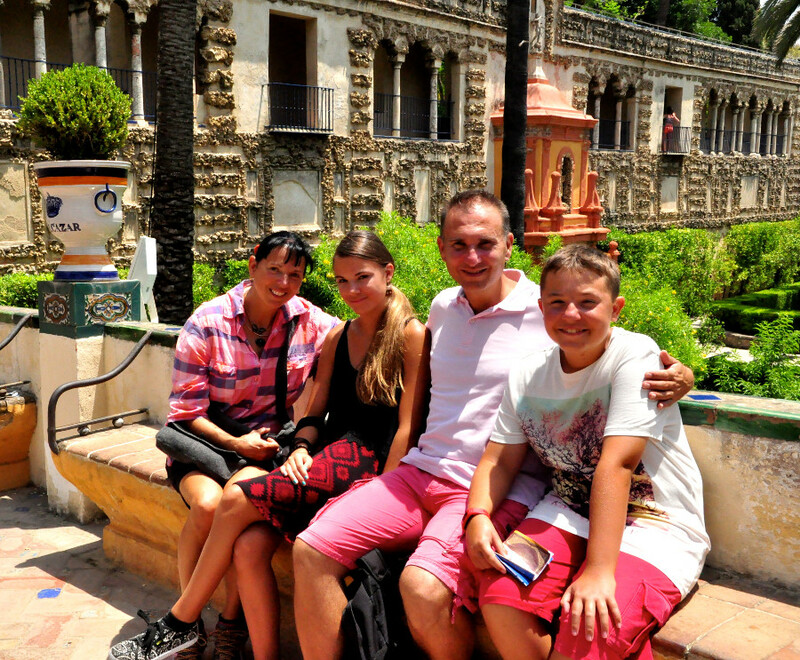 Did you always plan to travel with your family? How did this realization come to be? The first spark that started it all goes back to when I first met my husband. Travel was an instant point of common interest and attraction for us. So much so, that when we got married we determined that we would work and save up for a year and travel the world for a year, rather than buying a house. So in 1994 / 1995 we left Australia and traveled the world. When we returned, travel was always a priority and every extra money we earned, we would almost always invest it in travel. As soon as our children were old enough to walk longer distances, we also started hiking and traveling places to visit and explore. You see, we always loved the adventure and learning that travel had to offer. The places, cultures, languages and experiences, but mostly the connection and stories we shared with the local people that we met. This was always the biggest motivators for us to want to explore the world. To see if from a different view, to experience from the viewpoints of the people of the places we visited. 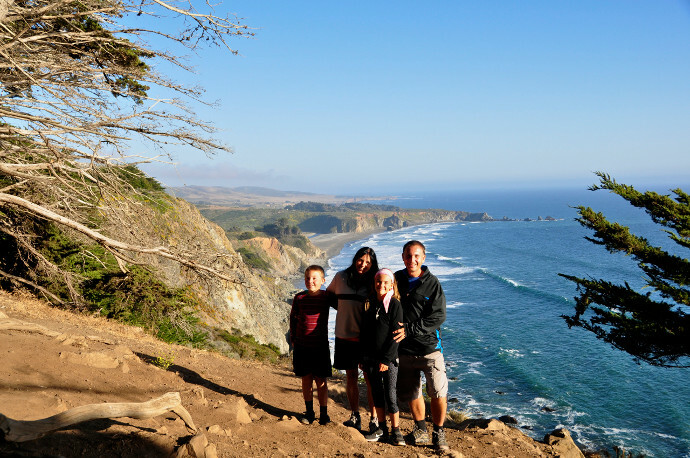 We always envisioned traveling together and when my husband’s work situation changed, we realized that there were no geographical limitations on where we could live our lives. This, along with an altruistic project we created called EnergeticXChange, intended to help people around the world help each other to meet their needs and share their offerings, started our journey, first around Australia in July of 2011, and then internationally when we left Australia in June of 2012. Traveling is still the greatest inspiration that we have in our ongoing journey of learning and discovery, but it is how we learn that continues to inspire the journey onward. We have learnt that not everyone has the same view of the world, the same values, the same goals or even the same opportunities. This has taught us to be open to all possible ways of thinking and feeling towards all people and living beings on this planet, because there is no universal one righteous way of thinking and every living being deserves our respect and willingness to listen to and understand their story. It has blessed us with an awareness that there is nothing to be afraid of in the world. It has taught us to be humble, grateful and understanding of others and it has taught us to give without limits whenever and wherever we can, because we feel giving is one of the meaningful reasons for our existence. That is to say, to be here and present for each other. 2. I would love to know more about that first step. The inception of our journey came on a wintry Melbourne day in Australia when I was stuck in traffic, running late and stressed about getting our children to school. It was at that moment that an inspirational thought posed as a question came to me – Why are we doing this? Why are we giving our children to other people to raise when they are a gift and blessing to us? It was taking our children out of school and being together as a family that was the catalyst to helping us see that we were free to choose our own roads, free to travel our own journey and free to learn together as we chose for ourselves. This was the real motivation for us to pursue a life that was of meaning to us, a life fueled by our passion for learning and a great part of that was to learn about the world around us and the people and all living things on it. We felt that this could best be achieved by traveling the world and this, along with our project, was what launched us out there. 3. Every homeschooling (I use the term broadly, as I know it doesn’t really apply to everyone in a traditional manner) family has their own story, their unique approach and blend of education that works for them. What works for you? When we first began home-schooling Réka and Lalika, back in 2010, when they were aged 9, we had a set curriculum with everyday “classes”. We even bought a whiteboard! However, we quickly realized that this was not the route we wanted to travel and soon became aware of the fact that the children were seeking out what they wanted to learn and what they were passionate about on their own and pursuing it! Nowadays, this type of learning is termed Self-Directed Learning. Réka made daily trips to the library and constantly had her nose in a book or was tapping away at a keyboard writing, while Lalika discovered websites online that captured his interest and imagination about geography, gaming, technology and current affairs. One day, when I went in to see what they were doing, I found that both of them were completing a Deep Brain Surgery Simulation, as well as a Virtual Hip Replacement! 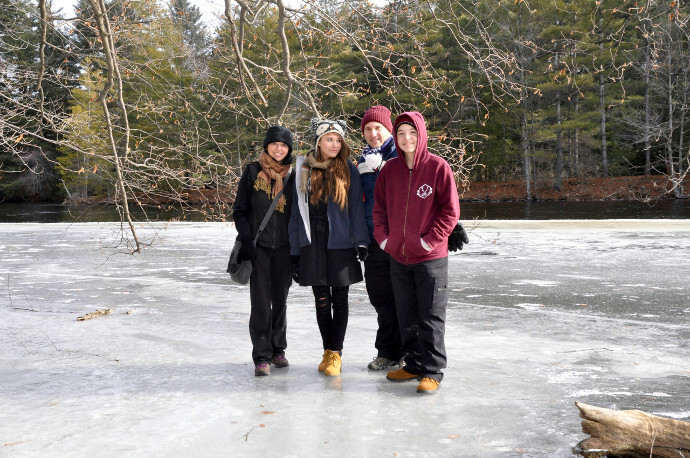 When we embarked on our world travels in 2012, home-schooling transitioned to what we now like to call World-schooling, which is truly the essence of experiential learning: Learning from the world around us, the places we visit, the cultures we experience, the languages we encounter and most prominently, the people we meet everyday. We genuinely feel that being able to connect with so many different people across the world, getting to hear their stories and share our own, has enhanced Réka and Lalika’s learning in unique ways and the truth is, it isn’t only they who are learning everyday. As a family, we have been able to discover so many incredible things together and the learning that occurs for all of us is our biggest treasure. 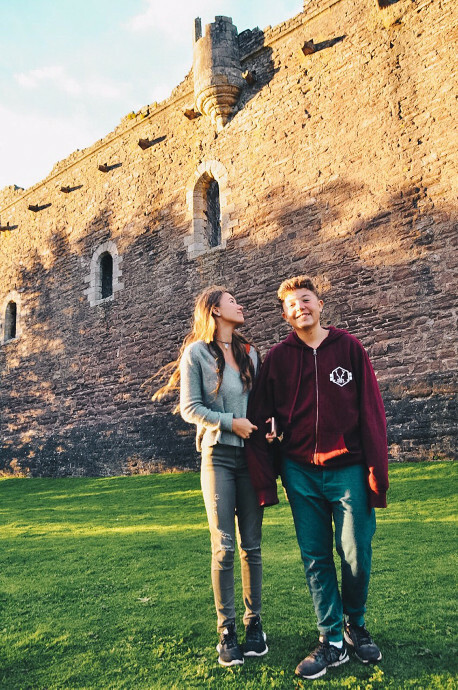 I can’t tell you how many times Réka made us take her to Castles, Palaces, Ruins and Forts all around the world. It was so incredible to see her love of history thrive in these locations. There were also some mind-boggling instances where she would lead us around a castle, knowing what would be located in every single room as if she had lived there hundreds of years ago! Lalika would always be looking up where the next National Park or Science Museum would be along our route of travel and I loved seeing them both so enthusiastic to complete the Junior Ranger Programs that were available all across the States. What we all came to realize is that learning is a journey that never ends and that it is a path that evolves every single day. 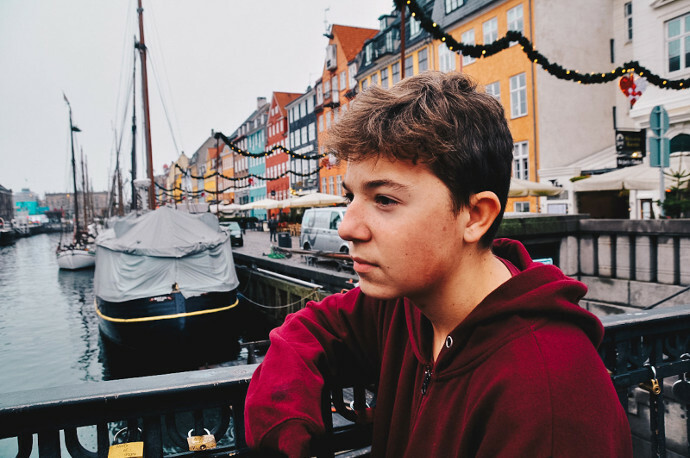 It saw Réka write and publish her own debut fantasy fiction adventure novel at 14 and Lalika delve deeper into his passion for the in-depth research side of travel. I can’t tell you exactly how far our learning journey will propel us, but I do know that however far that may be, it will always be an adventure! 4. From what I have read about Réka, I can see that the magic of storytelling has always been where her heart is. How did she begin writing her book? What is her next project? It’s true that Réka has always had a passion for storytelling, something that was very much influenced by our early travels throughout Australia, especially our experience as guests on the sacred APY Lands of the Aboriginal people. It was here that she was inspired by the Aboriginal people’s story of Creation, the Dreamtime, so much so, that when she created her travel blog, the name she immediately came up with was Dreamtime Traveler. However, it was in 2013 when we had the chance to visit a great friend of ours, deep in the heart of Andalusia, Spain, that Réka was inspired to write her debut fantasy-fiction adventure novel: Dawn of the Guardian. I think the defining factor of inspiration for her was when she met the real Fūko, (the main character of her book) and had the chance to truly be immersed in the culture and heritage of Spain. She has always had a flare for the creative and a determination to pursue her passions and so she never gave up along her journey from the inception of Dawn of the Guardian when she was 12, all the way to when we self-published it when she was 14. It definitely wasn’t an easy road to publication, but it was the experiences she faced while traveling, learning how to adapt and be flexible along our journey that kept her going. 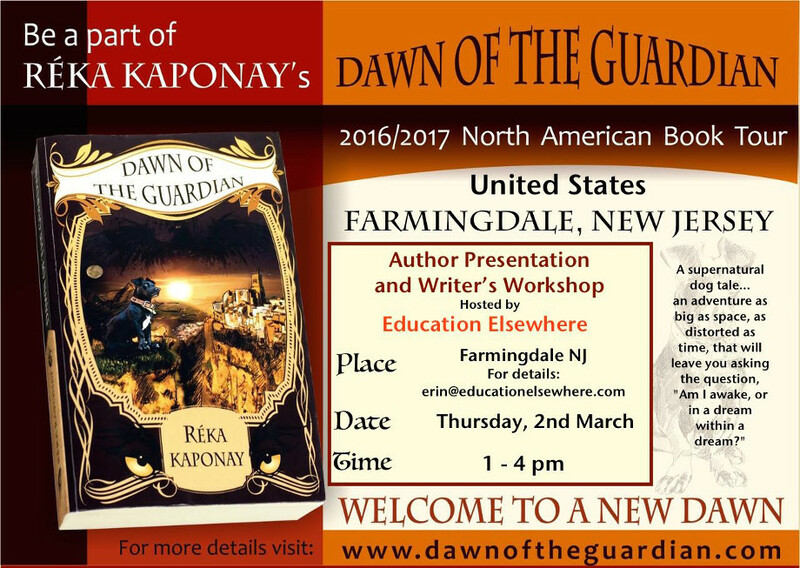 We’re now on Dawn of the Guardian’s 2016-2017 International Book Tour and so far this has seen us travel across Scotland, England, the USA and Canada, promoting Dawn of the Guardian and sharing Réka’s message with so many incredible communities. Her next project will see her return to the world of Dawn of the Guardian as it will actually be a trilogy. But Réka’s love for the written word transcends from a love for fiction to writing posts for her travel blog and has even transitioned to a bit of freelance writing, with her first article being published in The Guardian online newspaper. I think that wherever Réka’s passions take her, she’ll be able to apply a real drive and innovation to her projects and this is something traveling the world definitely has a hand in inspiring her. 5. How about Réka’s brother, Lalika? What does he love to do? Lalika, Réka’s twin brother, is our travel agent extraordinaire! He really has a knack for finding the best and most cost-effective methods for us to travel, from airlines, to accommodation and everything in between! He also has a passion for geography that has only been heightened by our travels. He can actually point out every single flag and its country. In fact, one day when we were in Paris walking past a line of embassies, Lalika started telling us which countries they belonged to, simply by looking at the flag! He also has a great passion for commercial aviation. I can honestly say that his skills have saved us thousands of dollars in travel and living expenses and he continues to inspire us with his passion for the journey. 6. What would be the first piece of advice that you would give to a family that are considering going on a journey across the world? You need a lot less than you think on the financial side to make this happen and a great deal more on the humanity side. You will need to be willing to cast aside all the things in your current world that you really don’t need. 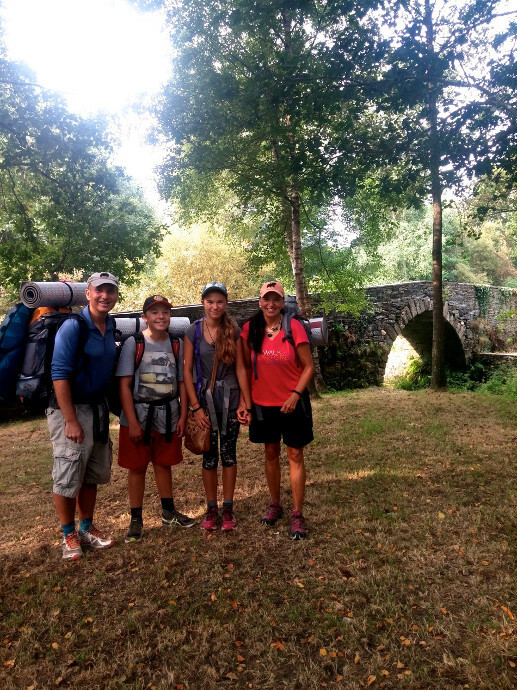 When it comes to what I mean about need, I can relate our story of walking The Camino de Santiago del Norte, a 515 Mile, 828 km long pilgrim’s journey across the north of Spain. When walking 15 to 20 miles a day for 38 days, after day one, you rapidly come to the conclusion that even that extra pair of socks are not necessary. The materialistic part of the journey set aside, the other equally most important thing is to be caring, sensitive and understanding of your family, or those with whom you are going to take that journey. Your love, patience, understanding and care for each other are infinitely more important than the finances and will be the engine that will power, sustain and allow your journey to thrive. For us, it is this and not the financial side of our journey that keeps us traveling. We are always happy to help families who are starting out or considering such a journey and regularly assist families by sharing our stories and experiences. 7. What is your preferred method of travel? It really does depend on where we are in the world, but we are always concerned about sustainable and environmentally conscious ways to travel. This is why we love and prefer to walk as much as we can. This has seen us walk the entire 515 mile / 828 km Camino de Santiago del Norte, pilgrim’s trail across Northern Spain and hike through many parts of North and South America, Europe, Australia and Asia. We also always strive to have the most authentic experiences and so we often opt for the methods of travel that the locals use. In South America we used buses all throughout Colombia, Ecuador, Peru, Chile, Argentina, Paraguay and Brazil with quite a few of the bus trips taking over 24 hours! In India, we traveled by trains and spent more nights on sleeper trains with the local people then in actual accommodations! In Europe we found that with four people and luggage, it was much cheaper for us to hire or even temporarily buy a car than use trains or buses, though with airfares so cheap across Europe, especially No Frills airlines, we often found ourselves flying to many of our destinations. 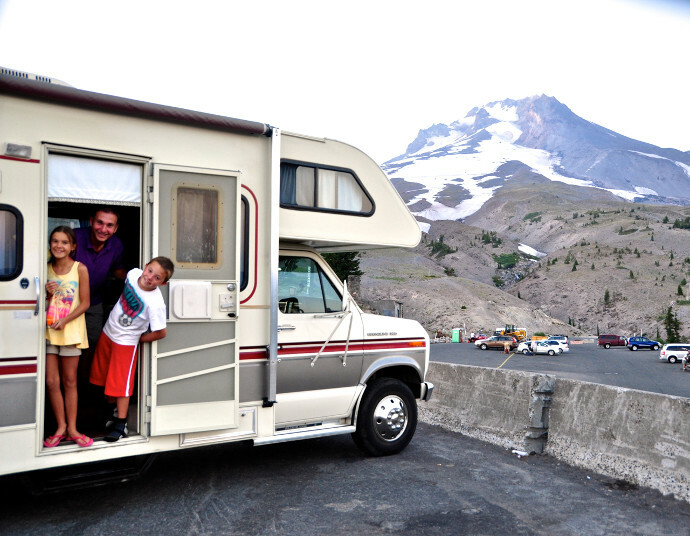 While traveling through North America, we had our RV and so literally wherever we parked for the night, we would be home! Now all we need to do is sail somewhere and we’ll have basically covered almost every form of transport! 8. How often are you asked how you manage financially? Would you mind sharing a tidbit about it? Most people always ask us about the material side of our journey and we are always willing to be open on this level. We must start by saying that we live very simply, but incredibly happily. We never spare on things that are essential, but our definition of essential as you can appreciate from our previous answer is very minimalist. In fact, most people are extremely surprised, even skeptical, when we tell them that for the last 4 years, we have been able to sustain this journey, for the four of us, spending less than $18,000 a year in total, less than the minimum wage in the US. This includes living in and traveling to around 5 to 7 different countries a year. People don’t realize that living in countries like the US, Australia and the UK are extremely expensive and that traveling around the world can actually give them a far greater quality of life, for far less the expense. Done in a certain way, it can even mean the opportunity to choose work and a life that is meaningful, which allows your family to thrive, where everyone’s needs are met. It certainly has meant this for us. In our case, we like to refer to how we travel as Slow Travel. This is where we establish a base in a country from where we can live, while learning about and immersing ourselves in the lives of the places, cultures and the people with whom we live with. This gives many savings advantages that are often the lion’s share of costs when you travel. Take for example things like accommodation. Staying in a hotel versus renting a place longer term (6-12 months). We have also lived in places like Hungary and Spain, where the relative cost of living is much lower than elsewhere, but also where there is an advantage of these countries being central to travel hubs, where we were able to travel very cost effectively. There are also many places throughout south-east Asia, which allow you to live and sustain yourself and family on less than a quarter of what it costs in the US or Australia. Just to give you one real example, our son Lalika, found us a rental in the south of Spain. A beautiful 2 bedroom apartment with a well maintained swimming pool, less than a mile from the Mediterranean Sea, all for $265 a month. We lived very close to a local farmer’s market where we were able to shop for less than $60 a week and with what we spent on other groceries, telecommunications etc. our monthly expenses were less than $725 a month, and all this while living in Europe. The rest of the money we earned, we used for travel adventures around Europe, Asia and Australia. Our son has become our guru for finding the best travel deals and accommodation options on the planet. A recent article our daughter wrote on this topic on her blog goes into more detail if people are interested. She titled it Necessity, The Motherhood of Adventure. However, even if it is traveling in your own country, there are ways in which families can use their existing investments in their homes, or at least utilize the money they are currently spending on living expenses to make a travel lifestyle possible. In our first 18 months, we traveled the US for over a year in an RV that we purchased, which more than adequately served as our home. We are always happy to help families who are interested in knowing more. 9. One thing that would concern me is the friendships that my kids would have to leave behind each time we would pick up and leave. I am sure that you have found ways around that. What do you do to keep in touch with people you love? I can absolutely understand your concern. I contemplated similar thoughts when we first started out, but, wherever we were, Réka and Lalika always found a way to make new friends. Whether it was at the RV park we stayed at for the night, or the Hot Springs we visited, or the hikes we walked… On a farm in Pennsylvania, atop Machu Picchu or among the Home Ed communities of England, it didn’t matter where we were, because we found friends everywhere, or they would even find us. And what was so great was that the friends Réka and Lalika made were of a spectrum of ages. They made friends who were both ten years older than them and ten years younger and in doing so, gained a true treasure trove in the diversity of the people they met, the conversations they had and the connections they made. While it was a challenge at some places to have to say goodbye to these people, we have the luxury of the internet and seeing each other live through the screen. We’ve also had the chance to meet up with some of these very same friends in entirely different locations, on different continents even and this adds such a unique dynamic to these friendships. While Réka and Lalika have kept in touch with their closest friends in Australia, they now have a link to friendships all across the globe, and really there is nothing better than travel and the challenge of the distances it presents to find out which friends are truly invested and will make the effort to stay in contact and which won’t. In terms of staying in contact with our loved ones, we mainly use mediums like Skype, WhatsApp, FaceTime and email. Réka and Lalika talk with their Grandma every single day and with their other Grandpa every other day. The time zone differences can get a little trying sometimes, but it’s times like these that Grandma will usually book a plane ticket to wherever we are in the world at the time! So far she has visited us three times while we were on the road, once in the States when we went on a cruise together, then in Hungary, Transylvania and Austria and finally in Spain and Portugal. We got to have so many adventures together that we otherwise would never have had! We actually returned to Australia for the first time in four and a half years for Christmas in 2015 and so it was lovely to see everyone again. 10. What was your favorite place to be in your travels? How long do you typically spend in a country/region? How long would you say is enough to learn from a particular place? This answer varies from each of our perspectives. As I outlined from an earlier question, we like to engage in what we like to call Slow Travel. This will often see us set ourselves up in a region anywhere from 2-3 months up to two years. We most often use our intuition, which lets us know when it is time to move on. In fact, we have developed a fun little game that allows us to consult where to next. This is currently being driven by our adventures on our daughter’s North American Book Tour. So, while at the moment we are not engaging in slow travel, we are still very much able to appreciate the people and cultures of Canada, the US and soon Mexico and Central America. Generally, we like to stay in a place long enough to get to know the local people, learn about the region, listen to their stories and immerse ourselves in the experience. There is no time frame to this, just an inner knowing when it is time to move on. Each of us have many fond memories of places we have traveled, but rather than it being tied to a place, it is more tied to the experiences and the people we meet along the way. 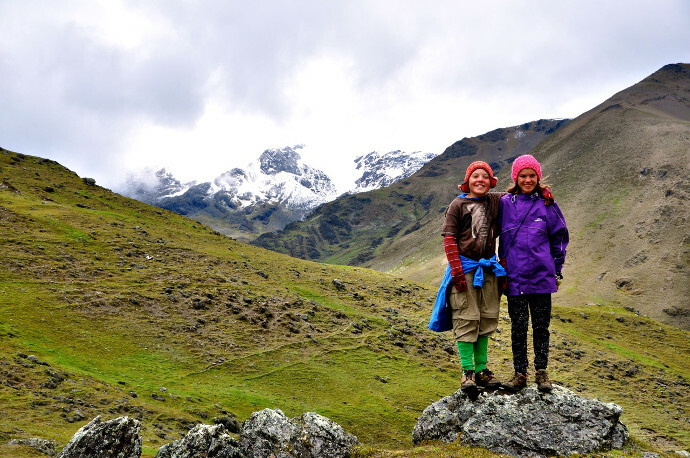 For me, it would have to be the time and people we met in a little hamlet in the south of Ecuador in the Valley of Longevity called Vilcabamba. For our son, Lalika, he really loved Spain and the experience of living there. For my husband, it was probably all the experiences and people we met while initially RV’ing around the USA and Canada and for Reka, it might have to be Scotland, England and Wales. But with that said, almost everyday brings a new story and we are truly grateful for the opportunity to listen to it and learn from it. 11. What is the funniest thing that has happened to you while on the road? I am not sure if this qualifies as funny, but when we were all traveling the first time together in the UK, we decided that we wanted to visit Bath, that ancient, but beautiful town that was made famous by the Romans. In fact, we were determined to experience the famous waters of Bath. As opposed to our slow travel preference, in this instance, we had just a few days in England and we were in a rush to get to as many places as we could. We didn’t have the opportunity to fully research the situation, save to find out that there was a massive price disparity between the two Spas. We decided we wanted to experience the original one and packed our bathers and towels into our backpacks. As we entered and paid for our tickets, the fellow at the counter asked us whether we would like the audio guides with our visit. We thought that this request was somewhat unusual, considering it was supposed to be a Spa and it was only then that it dawned on us, that the original Bath Spa was actually a museum and not a Spa. We all broke into a collective fit of laughter, which rather confused the young man at the counter but he was nevertheless very gracious towards us, probably assuming it was a family joke. 12. I looked at the amazing map on Réka’s blog, and you guys, covered a lot of the world. What is next for your family? So at the moment we are on North American leg of Dawn of the Guardian’s 2016 / 2017 International Book Tour and we’ve been traveling up and down the East Coast of the USA, as well as through much of Eastern Canada. Right now we are in Ottawa, enjoying all the snow but in just over a week we’ll be on the open road again, heading South to what will eventually be our destination of Miami, Florida. From there we’ll be flying out to country number 35: Mexico! We’ll be presenting at a Worldschoolers Summit there and we’ve been talking about traveling around some of Central America after that, much of which we haven’t really seen before. Our options are open! We’ll also probably be heading back up to the States to continue with the Book Tour on the West Coast. 13. What makes you happy? There are so many things that we could write here, as over these last five years we have come to learn, so much about ourselves and what makes us happy. We sincerely feel blessed by every day we get to share with each other. Just being together, everyday is a source of constant inspiration. Because we are together and in close proximity to each other, we get to share in each other’s ideas, imagination, stories and dreams as they happen. This is really an important aspect of our journey as it is how we learn, not only from each other, but how we can strive to improve as human beings. It makes us happy to know that together we are free to choose whatever experience it is we wish to have in this life and that the learning of this is something we can share and experienced together. We are happy that we are living a life filled with learning and creating value that trustfully also contributes in a way that is of benefit to the earth and all living things. What also makes us happy is to see that what we have invested in through the form of our journey, is really starting to thrive and is showing signs of coming to fruition. This brings us all great joy and excitement and something new is always around the corner. What ultimately makes us happy is that we are learning to be more present, more available and more aware of what it means to live in the moment, because with this, comes an immense appreciation and gratitude for the gift that is life. 14. Is there anything else that you would like to share from your perspective? Questions that I don’t even know to ask? Perhaps just that everytime we do an interview such as this, we are often faced with some comments that come from people who state that it is all well and good for us as we have the money to travel and it is impossible for them. We just wanted to share that it is never just about the money needed to travel this way. As we shared, we were able to do this on less than $18,000 a year. This was not because we set out to travel on this budget, but literally because we didn’t earn more than this. We had to make it work. In this situation, the thing that really sustains us throughout, is our common belief in each other and the purpose of the journey. Arguably, this is what it takes not only to sustain such a journey but also to make it thrive. The willingness to believe in yourself and your family and to back yourselves and your choices. Also, to trust that the world is a wonder filled place, full of caring and generous people who are always willing to help. We actively chose this lifestyle knowing that there would be challenges ahead of us that we knew we didn’t have the answers to when we set out, but we also knew that faced together, we would find the answers. Indeed to date, this is what continues to fire our imaginations, to fuel our passions for travel, to dream together and continue our journey of learning and discovery, because we are keen to find out what adventure it holds in store for us. We would encourage any family who is genuinely interested in this and how we did this to get in contact with us and we will happily share with them what we have learnt. 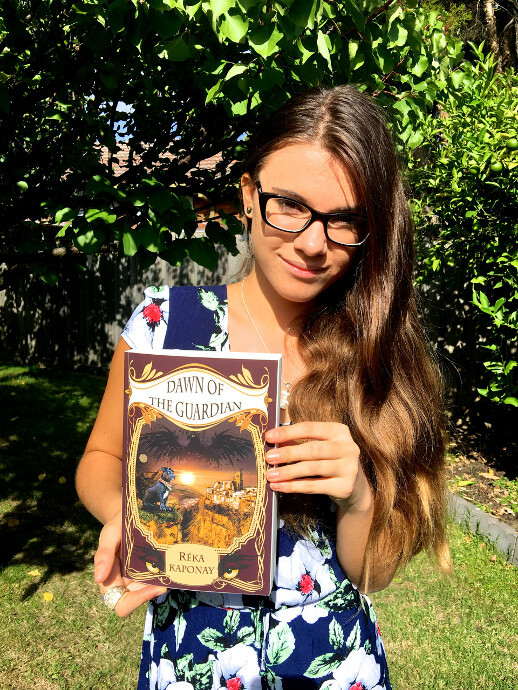 Here is a link for Dawn of The Guardian by Reka Kaponay. We would love to hear from you, so leave a positive and constructive comment below.